My last full day in Canada. I had a good day of birding in and around Vancouver. In the early morning I joined a dawn chorus walk in Queen Elizabeth Park led by David Bradley from Bird Studies Canada, which was part of the Vancouver Bird Week events. Weather conditions were not favourable with low temperatures and clouds and strong wind, so relatively few birds were singing. But still we had a nice morning. Several singing Yellow-rumped Warblers and a single Western Tanager were the sole proper migrants we encountered. 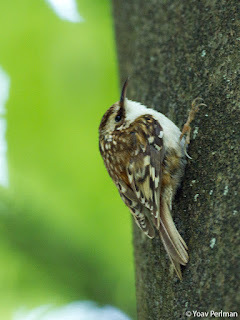 Other than those we had some fine local birds in the form of Brown Creeper and Red-breasted Nuthatch. Thanks David for a great morning. 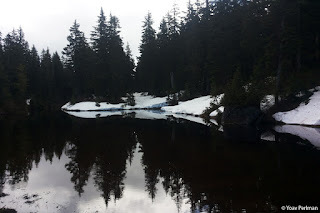 Later on I headed up with my brother and his family to Cypress Mountain. 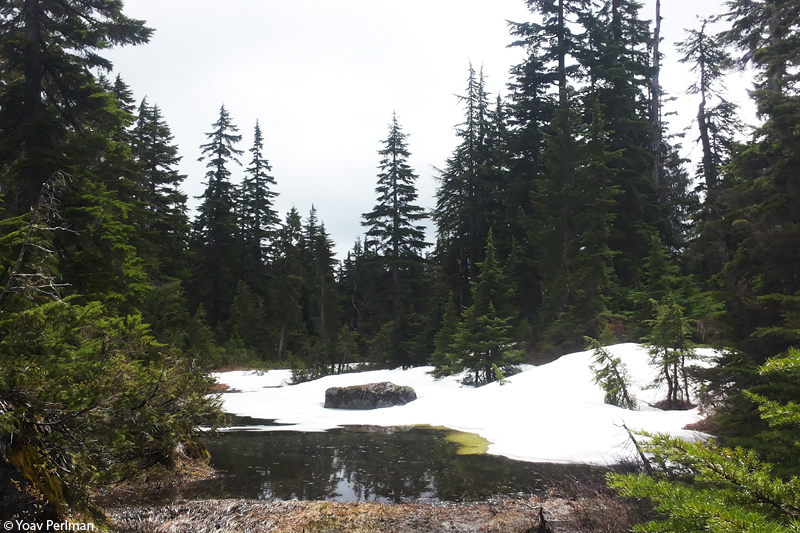 We walked the Yew Lake trail that held more snow than we had expected. But it was very pretty there. 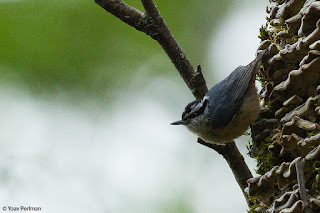 I had two main targets there - and I succeeded to see both, though none photographed. I first saw Varied Thrushes. These epic thrushes are dead common in winter in my brother's garden in Vancouver, but now have retreated to high-elevation coniferous forests. From a very early age I was dying to see them. I saw two birds today, brief but good views. What a cracker. 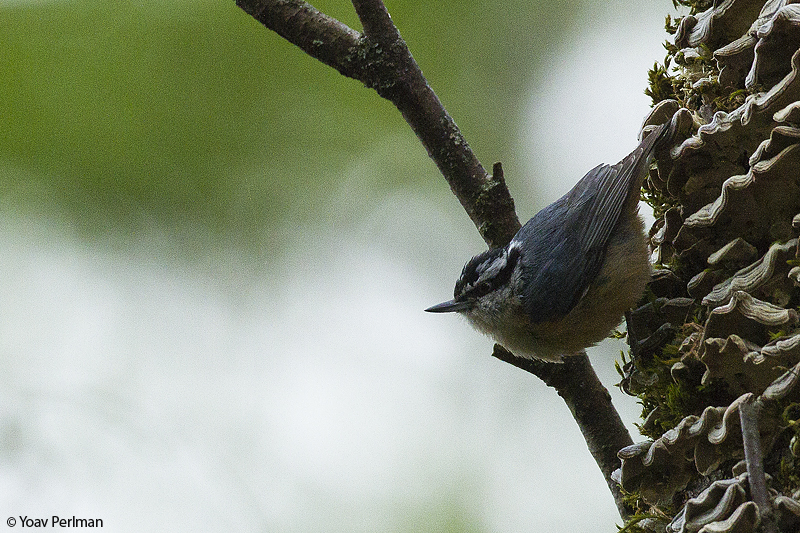 I also wanted to find Townsend's Warblers that I couldn't find in Vancouver's parks in recent days. 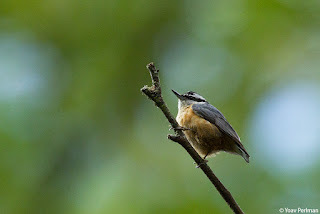 We first had a couple of singing birds, but couldn't get visual contact with them. When we got back to the carpark I finally saw one just above our car. Phew. 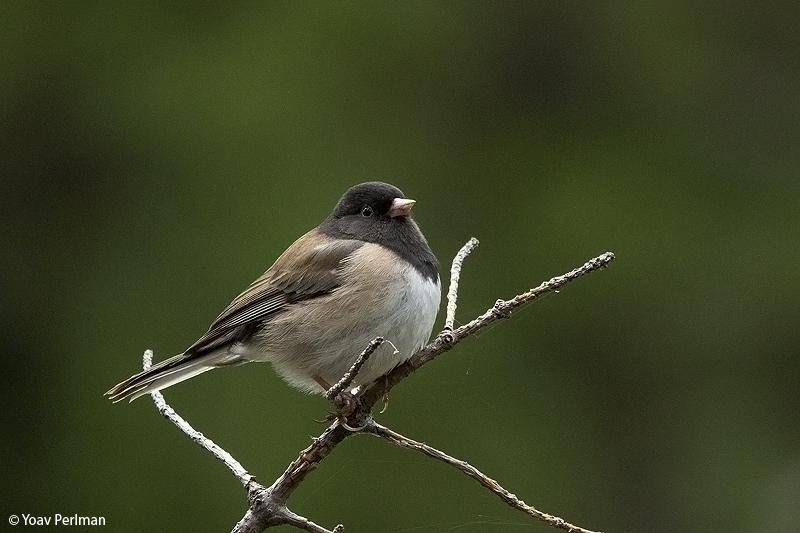 Other highlights were a couple of Black-headed Grosbeaks, and a Hairy Woodpecker.